Something that none of us like to experience is a power outage. And yet, whether there is construction work being done close to our homes or a rain or snow storm occurs, sometimes being without energy is not something that we can control. That doesn’t mean there aren’t some things that we can do to prepare for when they happen, however. If you’ve had moments when a power outage has happened, and you have felt a bit helpless. Because you weren’t sure what to do, we have five ways that you, as a homeowner, can get ready should another one occur. Possibilities are if you wait long enough, another one will. But this time, you’ll be prepared. Have a backup plan. When a power outage happens in the spring or fall seasons, it tends to not be nearly as unpleasant, temperature-wise, as when it transpires during the summer or winter months. If it does happen in June or December, in order to make it more bearable, be sure to have a reserve plan in place. Have already chopped up wood for your fireplace. Get some portable fans that are battery-operated. Also, something that you might want to remember about saving up for is a gas-powered generator. They range a lot in price, but you can get a pretty good small one for around $400. Stock up on flashlights and candles. It can be hard to move about during a power outage if you can’t see what’s going on. That’s why it’s a great idea to have flashlights, candles (and also matches or lighters) in areas of your house including the kitchen. The master bedroom and also in a drawer in your bathroom. Pack up your pantry. One of the worst things about going through a power outage is that if it lasts long enough, it could cause your food to spoil. If you do happen to go without power (while you’re home), make a point to eat the perishable foods in your refrigerator first. Also, try and load up your pantry with non-perishable items the next time you go grocery shopping. That way, you’ll have some other things to snack on; ones that will last with electricity and without. Turn off your HVAC unit. Something to keep in mind about power outages is that if they happen frequently enough, it can prove to be bad for your HVAC unit’s compressor. If you know that the outage is going to be longer than an hour, make a point to turn the HVAC unit off. As a matter of fact, for optimal heat pump performance, try and turn that off as well. Or at least switch your heat pump over to emergency heat mode. Practice going without power (even when you have it). You know what they say: “practice makes perfect” and the more that you prepare for a power outage, the better equipped that you will be to handle one the next time it happens. Just like you may run a fire drill in your house, consider having a “power outage drill” a couple of times a year too. That way, everyone will know where to go to get light, to find food and how to keep warm (or cool) even without energy. It may not make the next power outage less annoying, but it will make it a lot easier to deal. 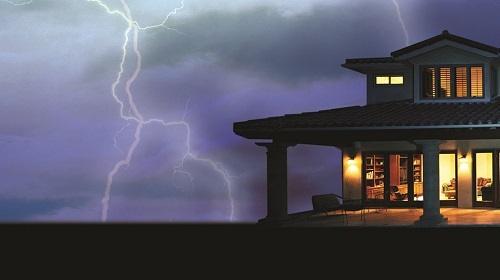 Be the first to comment on "5 Ways That Homeowners Can Prep for a Power Outage"